Gus's Fried Chicken is trying to become world wide as well as World Famous as the menu says. There are 22 locations in 11 states and I had a great meal at the Sandy Springs,GA location this week. One of my favorite signs anywhere. The chicken was perfectly fried. Crisp on the outside,juicy all the way through with a nice heat level that they are known for. Chocolate Chess Pie, OH MY!!! Served warm and I almost added the optional ice cream. I love Gus's chicken. I even love their doctored canned beans. I took this picture to make friends in Texas jealous who tried to make me jealous when they ate at the Memphis location. I'm a big fan of Gus's. Still, it makes me wonder how a place that is expanding as rapidly as they are can keep up the high quality of their food. But, apparently, they have. 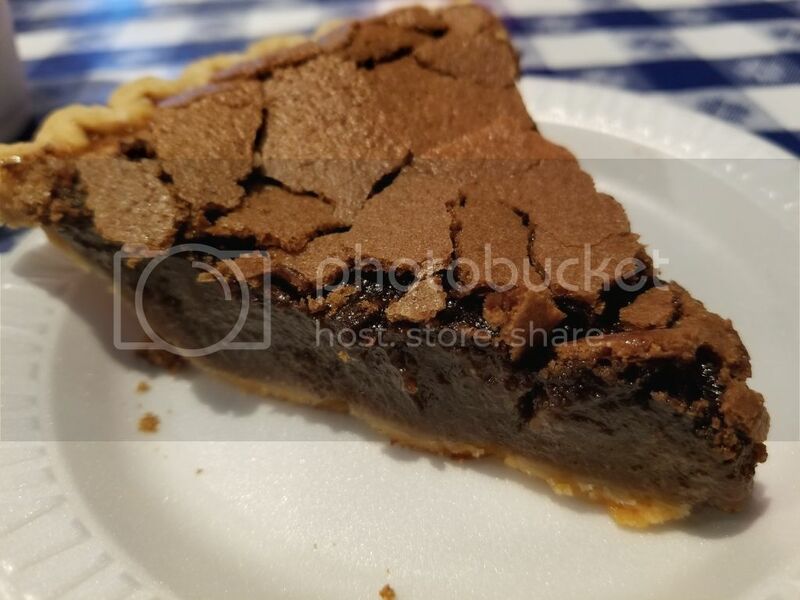 And what a great looking slice of chocolate chess pie! Since they opened a location in my new home of Knoxville, TN, I am a happy camper! Gus's is as good as any fried chicken that I've ever tasted. Go to Wright's Cafeteria for fried chicken. Thank you! They're not "that" far from Fort Worth. One of them might even make the drive. I've been to the Gus's location here in Chicago (Fulton Market - West Loop) 3-4 times. 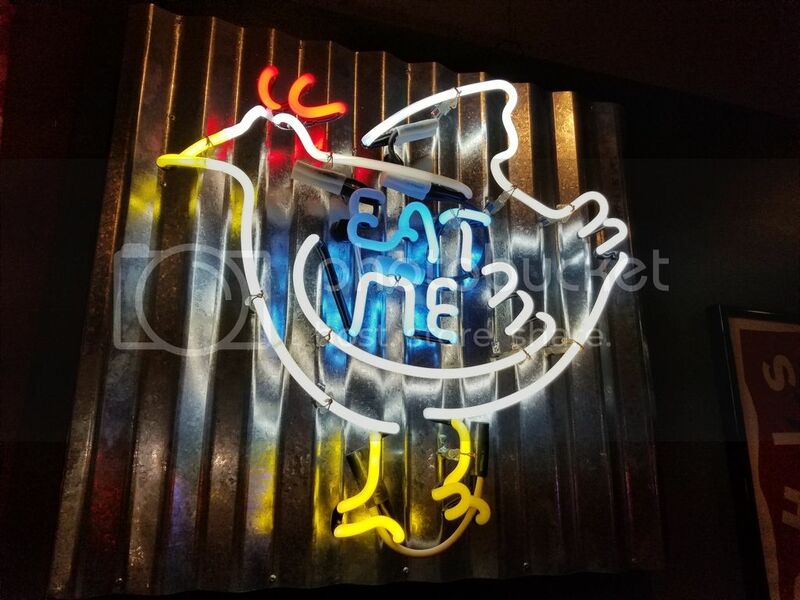 Always great chicken; juicy, spicy but not too spicy and never greasy. I keep wanting to get the chocolate chess pie, but I never make it. I always make the chicken a priority. The only issue is chicken right out of the fryer is way too hot to enjoy. I want to let it cool but I'm hungry so I deal with it. I think ordering ahead or maybe asking if they have chicken that has been sitting out a little while might be the better plan next time. Definitely recommended. Gus's open up in Knoxville about a year ago. The owner worked hard to get his restaurant open and I know it was difficult for him. My opinion is that this location over fries his chicken. It is tough and more like jerky. The sides appear like it comes out of a can. I have been there twice and the same results occurred.. I like chicken thighs and the breading was good but the thighs were way overcooked. Nice owners but the product is not worth it. Wright's is too bland. A lot of stuff at Wright's is superior but not that chicken. To my tastes, of course. That was our experience at Gus's, too when we visited them in Memphis. Overdone chicken and mediocre sides. All in all it was a total disappointment and I fail to see what the thrill is. 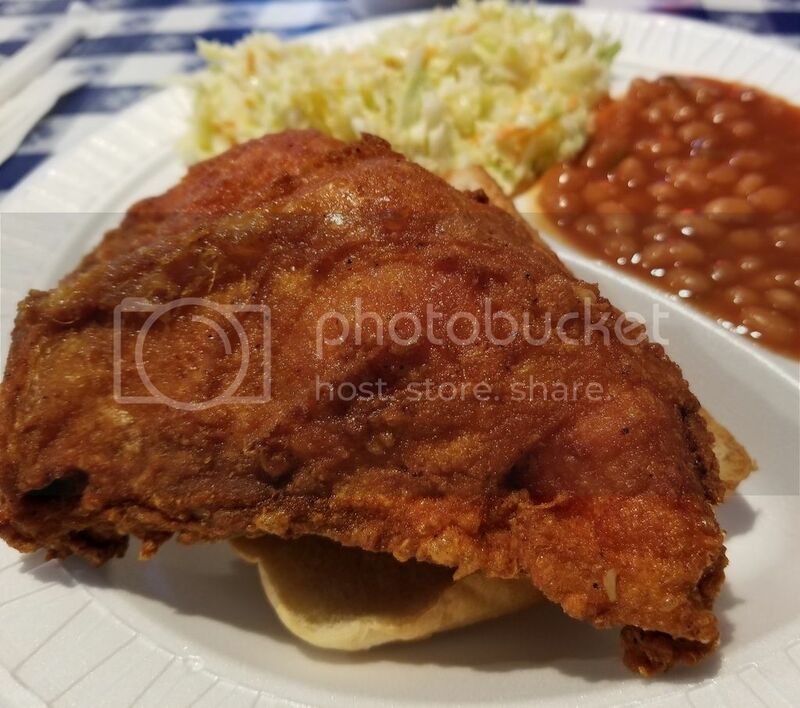 There is better chicken out there, and especially better chicken in Memphis (yep, better chicken can be had at Uncle Lou's).